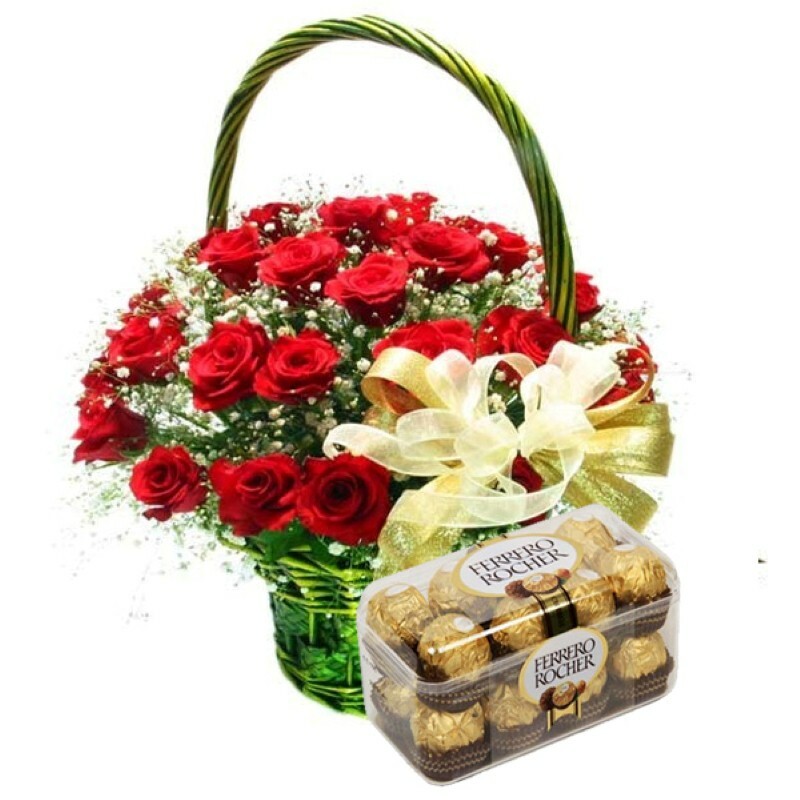 Product Consist : 16 Pcs Ferrero Rocher Chocolates Box along with 25 Red Roses Basket Arrangement. 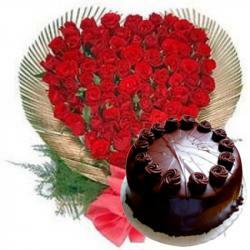 Send best wishes to love ones on their special occasions of valentines day with freshly picked flowers of Giftacrossindia and make them feel special. 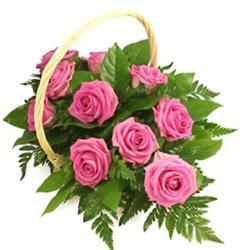 Extend your heart of sweet splendor that is this exclusive 25 Red Roses and green fillers together elegantly arranged in basket. 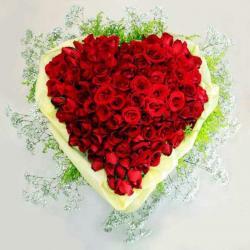 You can send it to dear ones extra happiness on any special occasions for valentines day. 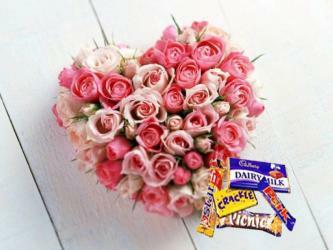 Product Includes : 16 Pcs Ferrero Rocher Chocolates Box along with 25 Red Roses Basket Arrangement.